KOTA KINABALU: Prime Minister Tun Dr Mahathir Mohamad now has another opportunity to prove that he can actually deliver the aspirations of Sabahans. Upko vice president Datuk Ewon Benedick said that the entry of Parti Pribumi Bersatu Malaysia (PPBM) to Sabah has given Mahathir, who is also the chairman of the party, an avenue to prove what he can do for Sabah. “Personally, as an Upko vice president, a cabinet minister and a member of the State Legislative Assembly, I believe that our Prime Minister now has the opportunity to prove that he can deliver what he couldn’t deliver during his previous tenure – especially in terms of royalty and taxes or resources. 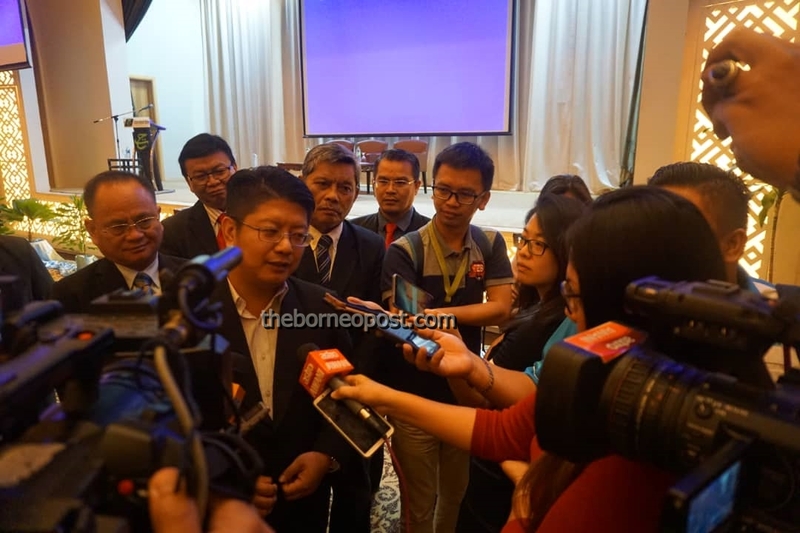 “As the current Prime Minister, he has the chance to deliver the aspirations of the people of Sabah,” Ewon, who is also the State Rural Development Minister and Kadamaian assembylan said. With the entry of PPBM to Sabah, Ewon expressed his hope the state would get its autonomy back, just like in the early days of the formation of Sabah. Mahathir had previously held the position of Prime Minister from 1981 to 2003, after which he was seceded by Datuk Seri Abdulah Ahmad Badawi (2003) and Datuk Seri Najib Razak (2009). “I think that the stance of Warisan and the other existing parties in the state on PPBM’s entry is quite clear. However, as mentioned by our Chief Minister, we simply could not prevent (PPBM from entering Sabah). “In the end, we found out that, it was not PPBM who wanted to come to Sabah. It was the people of Sabah who requested for PPBM to come to Sabah – this was the reason why PPBM came here. “This was similar to Umno’s entry to Sabah during the 1990’s – it wasn’t Umno who wanted to come here, it was the people of Sabah themselves who wanted them to come here,” Ewon elaborated.